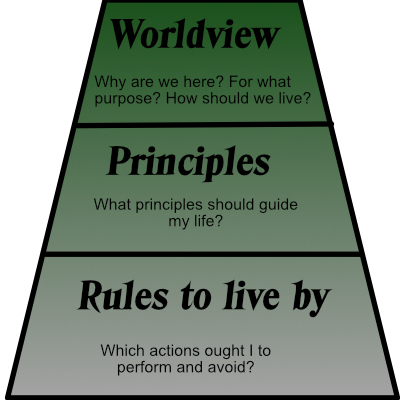 Fr om the overall worldview is derived a set of principles about value, purpose and ethics. Love, compassion, freedom, progress, growth, technology. This entry was posted in Churches, Theology and tagged God, meditation, prayer, worldviews, worship. Bookmark the permalink. 5 Responses to Why worship? Thanks. And of course please do use it. I’m thinking about trinitarian inclusivity: we worship because we are included into the life of the Trinity which is a ‘flow’ of ‘worship’ … ? I should clarify the mnemonics I mentions are the things like ACTS etc which was referenced in the post.